Call (818) 306-4089 To Order Today! Bold Materials is the only building & landscape material supplier that can offer both quality and affordability in the products we offer. We are a company that has been established on the principle values of adequate service provision and attention to detail, which ensures we provide top-class landscaping materials throughout Granada Hills & San Fernando Valley. We offer our customers all types of materials they may need to perfect their landscaping needs and capture the ultimate visualization. Customers looking towards residential landscaping and building can purchase all materials needed for your project, from sand, gravel, decomposed granite, to top soil or wood chips. Our continued excellence in providing the best materials has guaranteed our status as the best landscape materials company in San Fernando Valley! Serving the greater San Fernando Valley region, we deliver quality landscaping materials fast and efficiently out of our Granada Hills warehouse. Our prompt delivery is a major benefit for residential projects since we guarantee the availability of our products with the placement of an order. We have also ensured that whether you’re looking for decomposed granite, topsoil, or rock supplies, our residential landscaping materials are made readily available to our clients, along with product images and the correct dimensions, through our online store. With this, customers get to place an order and may follow it up by giving us a call to note the progress of the order. The upside to having us as your premier source for landscaping materials is that if you cannot place an order online, we alternatively provide you with an order form that details what you need, in addition to a platform where an effective calculation of the cost of the materials can be made. This guarantees convenience and seamless order placement with all of your details ironed out. We offer our clients varied delivery systems whereby in one instance, we allow them to collect the materials at their own convenience with their own means. Upon request, we also have the capacity and machinery to deliver the materials at the destination of choice to ensure the landscaping project commences within the time frame desired. At Bold Materials, offer residential landscaping materials with prompt, courteous and knowledgable customer service. We offer complimentary consulting for our customers to better understand their vision and provide our expert recommendations on the best landscaping materials to use for your next project. With San Fernando Valley being a region of natural beauty in the residential areas, the materials we supply will definitely complement the outlook and overall feel of your home. 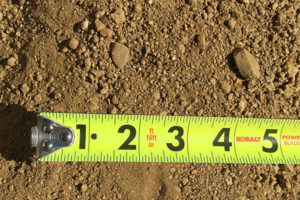 San Fernando Valley residents looking to structure a landscaping project should explore the sand and gravel we provide. We source our sand from the established basins which ensures the sand is top quality and with a perfect texture. We stand as the Granada Hills sand and gravel providers who adhere to the standard threshold of quality and workability of our materials. 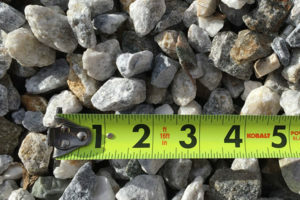 With that, we always target supplying gravel that has been sized perfectly to fit with the vision that a customer has. In a bid to ensure that we supply the exact materials, Bold Materials always create a consultation line with customers to understand the need at hand and the theme that is expected to manifest with the landscaping project. 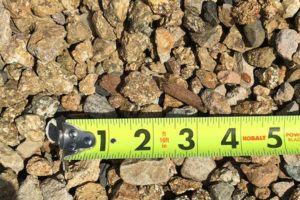 With our experience in the field, we are then able to recommend the size, quantity and orientation of the sand and gravel to guarantee a successful project. The gravel we provide is usually checked for quality and operational capacity by our experienced personnel and specialized equipment. This gives us the advantage of being able to supply top quality materials that are standardized and approved for effective usability. 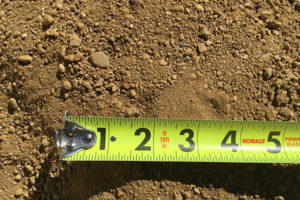 As Granada Hills sand and gravel suppliers who have a keen eye on the eventual success of all landscaping projects, our continued efforts to source for and maintain a steady line of quality materials should serve as an indicator of the dedication and passion we have in wanting to ensure our clients enjoy beautiful landscapes. Bold Materials provides a wide range of materials in the landscaping niche including decomposed granite, wood chips, mulch and decorative rocks. The decomposed granite we promise to deliver is usually of varied orientations depending on the specifications a client communicates. There are usually different colors to choose from varying from greys to shades of red & wood texture. When in need of decomposed granite in the San Fernando Valley, we are the best choice since we guarantee perfection from the initial order to the prompt delivery. Wood chips are a popular landscaping material we supply. The wood chips we supply are sourced from definite regions to ensure they are effectively sized for the beauty purposes of a landscaping project. The wood chips usually customize the outdoor renovation process by ensuring that areas like playgrounds and relaxation points are structured evenly with a variation. In the San Fernando Valley, we are trusted suppliers of boulders which can be used to customize yards and open spaces. We ensure our clients are informed in choosing the size and structure of the boulders to guarantee that the theme is captured perfectly. The beauty sense that the boulders bring along provides a twist to the landscape and gives the environment an enhanced and natural outlook. Decorative Rock also forms part of the landscaping materials that we supply to our Granada Hills, CA customers. we also have the capacity to provide moss rocks which add a variation to the overall theme of the landscape. The upside to us being the choice suppliers for the rocks is that we are able to give several variations of the rocks depending on size and colors. Customers can choose from extended types of rocks including arctic grey and Palm Springs gold. At Bold Materials, we also offer our customers the chance to purchase nutrient-rich mulch for yards, lawns and other landscaping projects. When in the need of creating a perfect landscape in the residential space, the mulches we provide ensure that plants, flowers and grass can be effectively established with the right balance for vigorous growth. Our customers can also order topsoil that we have mixed and blended to suit any specific use that is desired. We also stock pavers that can be used in the residential setting to customize the beauty of your landscaping project. We are all about providing the best landscaping materials in the San Fernando Valley that will create the perfect landscapes within their residential spaces. We are a dedicated company that has decades of experience in the building & landscaping industry, and we have the right focus and expertise that allows us to strive in customer satisfaction when providing quality-assured materials. We are open five days a week. Contact us at (818) 306-4089 to place your order, shop online for landscaping materials or use our comprehensive order form.